Hand sanitizers are disinfectants which are used as an alternative of washing hands. Personal hygiene is one of the most promising growth areas and has observed increase investment to meet the demand of the growing population. The demand of hand sanitizers increases due to periodic outbreak of Avian flu, Swine flu and SARS. Goldstein Research analyst forecast the hand sanitizer market size is set to reach USD 5.08 billion by 2024, at a CAGR of 11.70% over the forecast period. Hand sanitizer requests increased 53% from 2016 to 2024. Due to increase in the awareness among the population over the need for hygiene, global sales of hand sanitizers have been majorly growing over the years. The report covers the present ground scenario and the future growth prospects of the hand sanitizer market for 2016-2024 along with the number of units sold in schools, hospitals, household purpose, corporates etc. We calculated the market size and revenue share on the basis of revenue generated from major players across the globe. On the basis of end-user, largest revenue share of 62.0% in the global hand sanitizers market is accounted by hospitals in 2016 and is likely to maintain its dominance throughout the forecast period. There is a wide use of hand sanitizers in hotels and restaurants as well where hand hygiene is important. The hand washing routine in the hospital among the staff is increasing the demand of hand sanitizer market. Due to high standard of living, personal hygiene and higher disposal income the usage of hand sanitizer in household purpose is expected to grow in the upcoming years. Hand sanitizer industry market report 2016-2024, has been prepared based on an in-depth market analysis from industry experts. 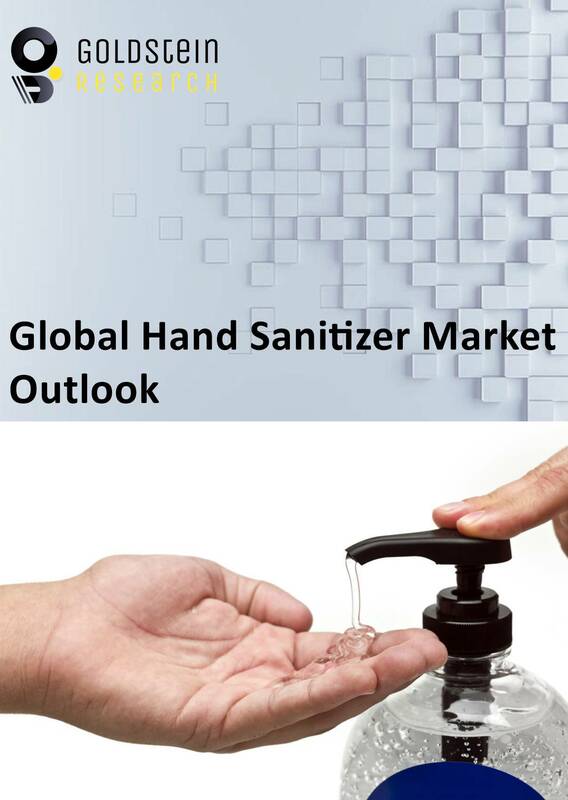 The report covers the competitive landscape and current position of major players in the global hand sanitizer market. The report also includes porter’s five force model, SWOT analysis, company profiling, business strategies of market players and their business models. Global Hand Sanitizer Market report also recognizes value chain analysis to understand the cost differentiation to provide competitive advantage to the existing and new entry players. Our global Hand Sanitizer Market report comprises of the following companies as the key players: 3M Company, Best Sanitizers, Inc., Byotrol plc, Chattem, Inc., GOJO Industries, Inc., Henkel AG & Co. KGaA, The Dial Corporation, Lion Corporation, Medline Industries, Inc., Nice-Pak Products, Inc.
Other high-flying vendors in the market are: Procter & Gamble Co., Reckitt Benckiser Group plc, SC Johnson & Son, Inc., Deb Group, Skinvisible, Inc., The Clorox Company, Unilever plc, Vi-Jon Laboratories, Inc., Zep, Inc., The Himalaya drug company, Kutol products company, Linkwell corporation. According to our global market study on the basis of extensive primary and secondary research: “One trend is hand sanitizers with organic alcohol that leaves no stickiness, in addition contains vitamin E, essential oils and vegetable glycerin to ensure that hands won’t dry out, even after frequent use. For instance, EO’s hand sanitizer that comprises of sugar cane ethanol which is a natural disinfectant that does no harm when absorbed into skin or our ecosystem and is 99.9% effective against most common germs. According to the report, major driving factor for hand sanitizer market is growing demand for environment-friendly hand sanitizers which can decrease in skin dryness and illness. It is also observed that family who use hand sanitizers are at low risk of gastrointestinal and respiratory infections. In addition, hand sanitizer also reduced absenteeism by 20% for school going as well as working class population. Further, the report states the major challenge according to the U.S. Centers for Disease Control and Prevention (CDC) and National Institute for Occupational Safety & Health (NIOSH) , regular and repeated use of hand-hygiene products, particularly hand sanitizers, is a main cause of skin disease i.e. dermatitis. In addition, 37.0% of all occupational diseases are skin allergic and contact dermatitis constitutes the majority of those cases and 63.0% of the healthcare workers suffer from these diseases. Based on geography, North America held the highest share of 55.0% in the Hand Sanitizer Market in 2016 due to increase in awareness of the diseases and promotional campaigns related to hand hygiene. Benefits of these hand sanitizers increased because of its effectiveness to kill micro-organisms. Asia- Pacific is expected to have highest growth countries like Japan, China, India, Australia, and Singapore are the opportunistic market for hand sanitizers driven by the growing importance placed on hand hygiene practices in light of disease outbreaks such as Ebola and H1N1. What is the revenue of Hand Sanitizer in 2015-16 and what would be the expected demand over the forecast period?